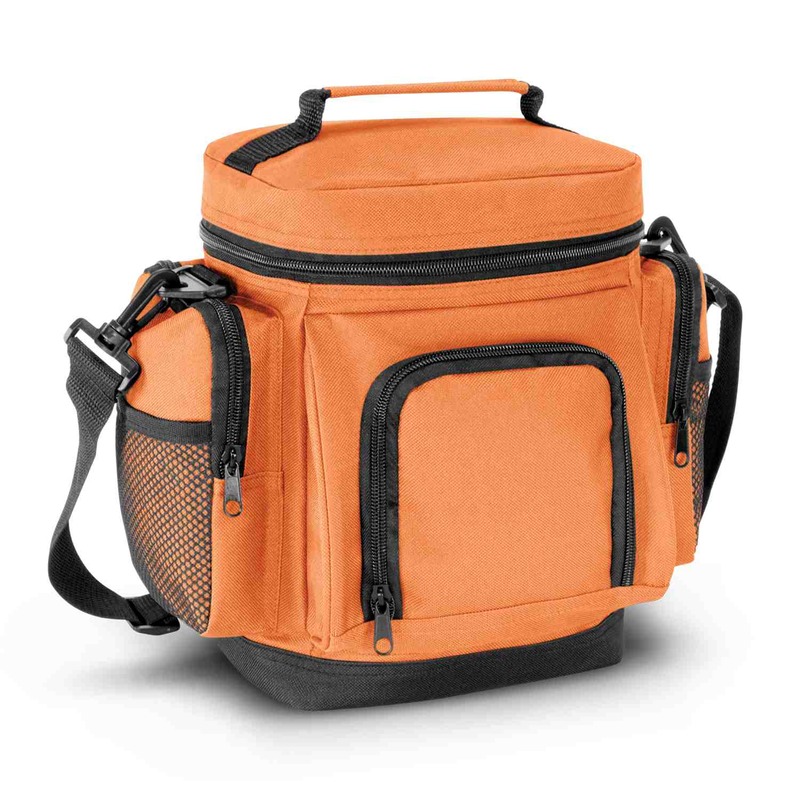 A smart, 6.5L capacity cooler bag that's made from 600D polyester with an aluminium foil laminated PE foam insulation. 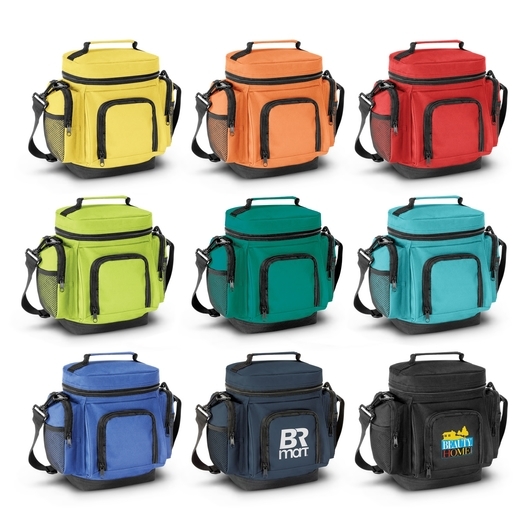 Keep your lunch and your branding cool with some of these cooler bags. They have a capacity of 6.5L and are made from 600D polyester with an inner lining of aluminium foil laminated PE foam insulation. They also feature a zippered top closure, woven handle, adjustable woven shoulder strap, 3 zippered external pockets and 2 mesh pockets. Can be decorated with a print, embroidery or a full colour digital transfer.